Laurie Richards, recently ranked on the Amazon.com best-seller list with the new book, Ready Set Go!, co-authored with Brian Tracy. Gainesville, Va, December 18, 2018 –Laurie Richards, President of LR&A, Inc., joined a select group of business experts and entrepreneurs from around the world, along with success expert, Brian Tracy, to co-write the book Ready Set Go, released on November 30, 2017, by leading business book publisher, CelebrityPress® LLC, that publishes books from ThoughtLeaders® around the world. On the day of the release, Ready Set Go! reached best-seller status on Amazon.com – reaching as high as #15 in “Direct Marketing” and #73 in the “Sales and Selling” category. Laurie Richards contributed a chapter titled, “The Magic of The Little Pink Spoon,” that has helped the book reach optimal best-seller placement and will help readers gain similar success in their endeavors. The phrase “Ready, Set, Go!” highlights the idea that goals are achieved by moving in a predetermined direction. The Chinese philosopher, Lao Tzu, is credited with the statement that ‘a journey of one thousand miles must start with the first step.’ This age-old philosophy validates that a goal cannot be accomplished without first taking action. After such a successful release, Laurie Richards will be recognized by The National Academy of Best-Selling Authors™, an organization that honors authors from many of the leading independent best-seller lists. Laurie Richards is a Strategic Communication Professional and President of Laurie Richards & Associates. She helps her clients become more effective communicators, better partners, more productive managers, more persuasive presenters, and more successful teammates. Richards believes it’s not enough to be good at what you do—you have to be able to tell people about it. She has worked with thousands of executives, sales and marketing professionals, technical experts, and other leaders helping them effectively tell their stories and improve communication at every level. 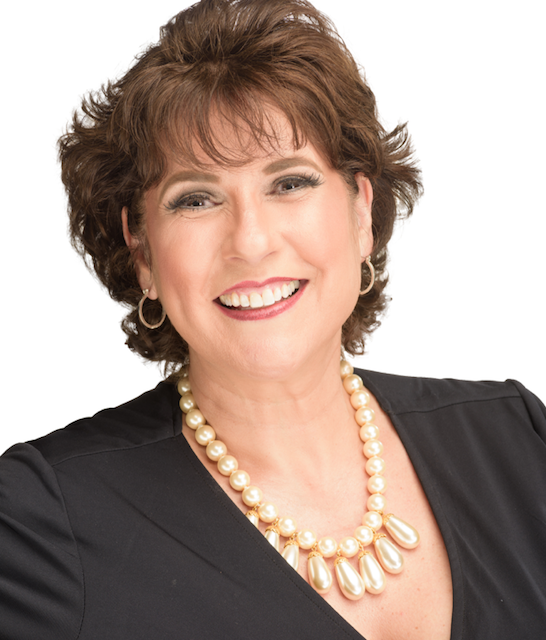 Known for her practical, interactive, strategic, and entertaining approach, Richards helps clients execute outcome-based communication, upgrade customer service, improve customer satisfaction, diminish conflict, present a professional image, and improve everyday communications to directly affect the bottom line. Richards grew up on a farm in South Dakota where she had two terrific English and Speech teachers who taught her to always work toward effective communication and to be a lifelong learner. Richards began her career as a legislative correspondent for Public Broadcasting. She managed leader communications for the National Pork Producers Council—the nation’s largest commodity organization and originator of the successful “ Pork. The Other White Meat©” campaign. Richards has hosted radio programs, managed one of the nation’s fastest growing public relations agencies, launched award-winning public affairs programs, managed highly effective grassroots lobbying efforts, and facilitated professional development programs for notable clients. Richards has degrees in communication and business management and is working toward her PhD in Organizational Psychology. She has a variety of certifications in micro-expressions, social styles, observation, and psychological profiling. Richards prefers collecting experiences to collecting things. She is an award-winning international ballroom dancer, has traveled to all 50 states, has climbed Mount Fuji, and is on a mission to travel to all seven continents.